Clare Molina is a Tallahassee native that began her dance training at Sharon Davis School of Dance at the age of three under the instruction of Ms. Adele Trahan-Kitchen. At the age of eight she joined The Tallahassee Ballet company to further her training along with her training at Sharon Davis. She danced with the company for nine seasons working with many choreographers such as Rick McCullough, Kathryn Karrh Cashin, Joyce Straub Fausone, Tyrone Brooks, Jennifer Medina, and Ilana Goldman. She also had the opportunity to perform several leading roles during her time at Tallahassee Ballet including Clara, Columbine Doll, Lead Mirliton, and the Sugar Plum Fairy from the Nutcracker as well as soloist roles in La Bayadere and Paquita. She has also performed as a soloist in the Blue Regiment from Balachine’s Stars and Stripes set by world renown ballerina, Suzanne Farrell, at Florida State University. 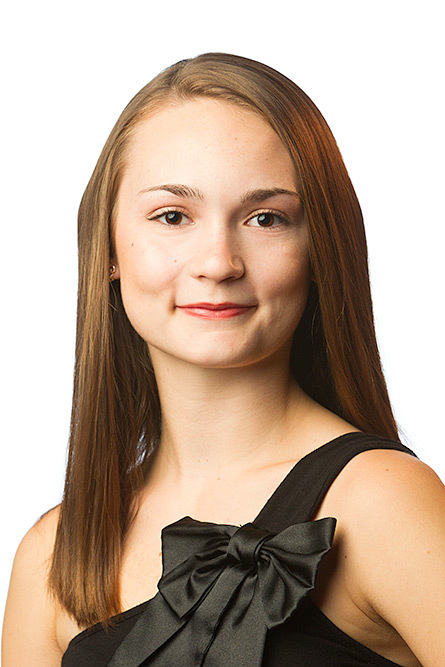 Ms. Clare has also attended summer programs over the years to benefit her dance training these being Atlanta Ballet’s Summer Intensive, Florida State University’s Summer Intensive, the American Academy of Dance in Paris Intensive, and Nashville Ballet’s Summer Intensive. Ms. Clare is currently enrolled at Florida State University where she is working toward a B.F.A. in Dance as well as her Pilates mat and personal training certifications. She is very interested in the dance science field to help dancers work in a safer, more efficient way to increase career longevity.